Includes items 3, 4, 14, 17, 18, and 21. Can be used on vented and ventless model printers. 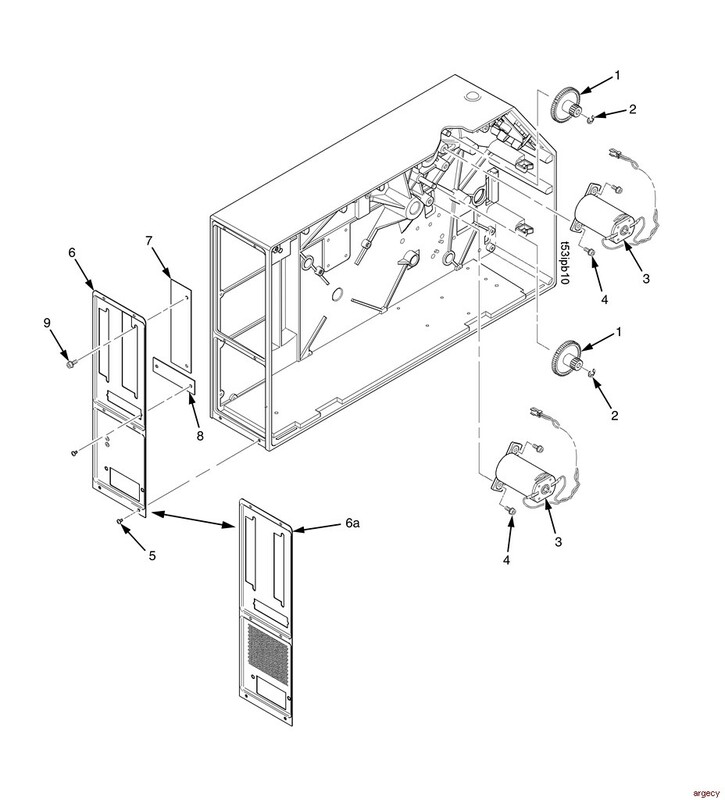 Vented Printers Includes items 3, 14, and 17. Used on vented model printers only. Part of items 1 and 1a, but can also be ordered separately. 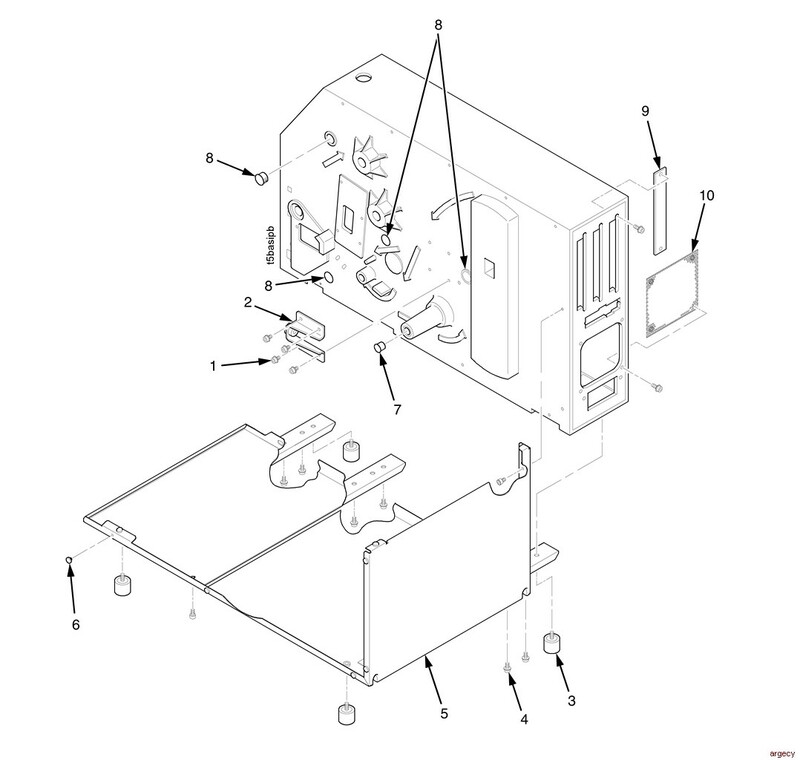 19 Ref Power Supply, Vented Printers Part of item 1a. 21 Ref Cable Assembly, Power Supply Part of items 1 and 1a. Used with pan 171962-001. Includes item 7. Used with pan 171962-002. Includes item 7. Used with pan 171962-003. Includes item 7. 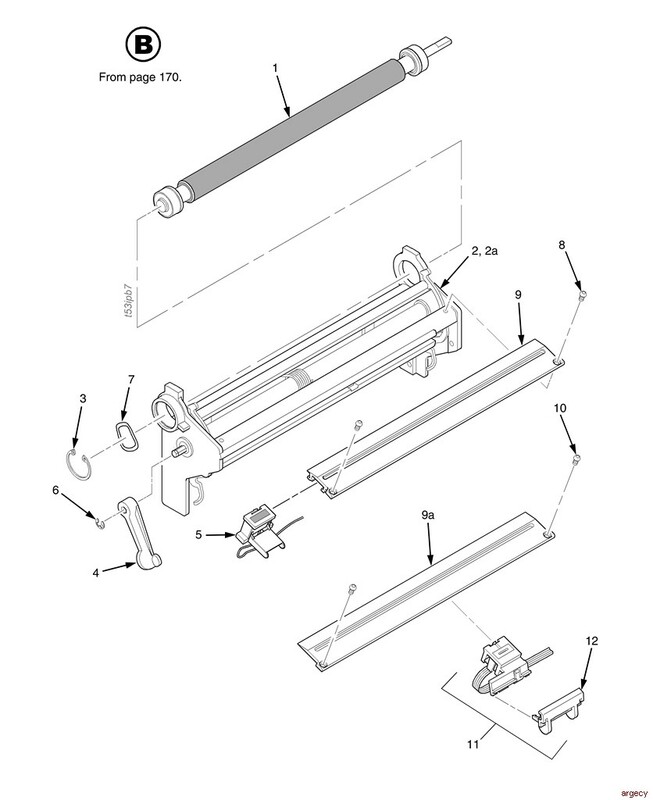 171892-004 Door, Peel/Tear, Cut-Down, 8 inch Used with pan 171962-001 (Figure 33), but can be ordered separately. 171892-005 Door, Peel/Tear, Cut-Down, 6 inch Used with pan 171962-002 (Figure 33), but can be ordered separately. 171892-006 Door, Peel/Tear, Cut-Down, 4inch Used with pan 171962-003 (Figure 33), but can be ordered separately. 9 Ref Cable Assembly, Power Supply Part of power supply. See item 21, page 162. 3 170383-001 Dial, Head Pressure Adjustment Use with small knob only. 171089-001 Dial, Head Pressure Adjustment Use with large knob only. 4 170382-001 Indicator, Head Pressure Dial Use with small knob only. 3 170383-001 Dial, Head Pressure Adjustment Small knob version. 171089-001 Dial, Head Pressure Adjustment Large knob version. 4 170382-001 Indicator, Head Pressure Dial For small knob. 171088-001 Indicator, Head Pressure Dial For large knob. 8 171173-001 Shaft, Head Pressure, 4 inch For small knob. 172142-001 Shaft, Head Pressure, 4 inch For large knob. 31 Ref Bracket, Head Mount, 4 inch Part of item 1. 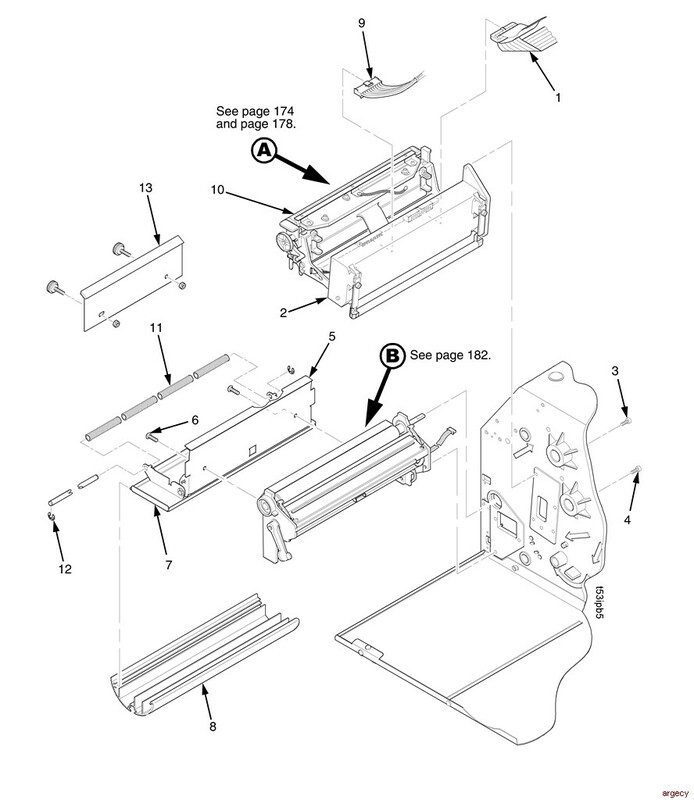 32 175174-903 Printhead Cover/Upper Media Sensor Assembly, 4 inch Part of item 1, but can be ordered separately. 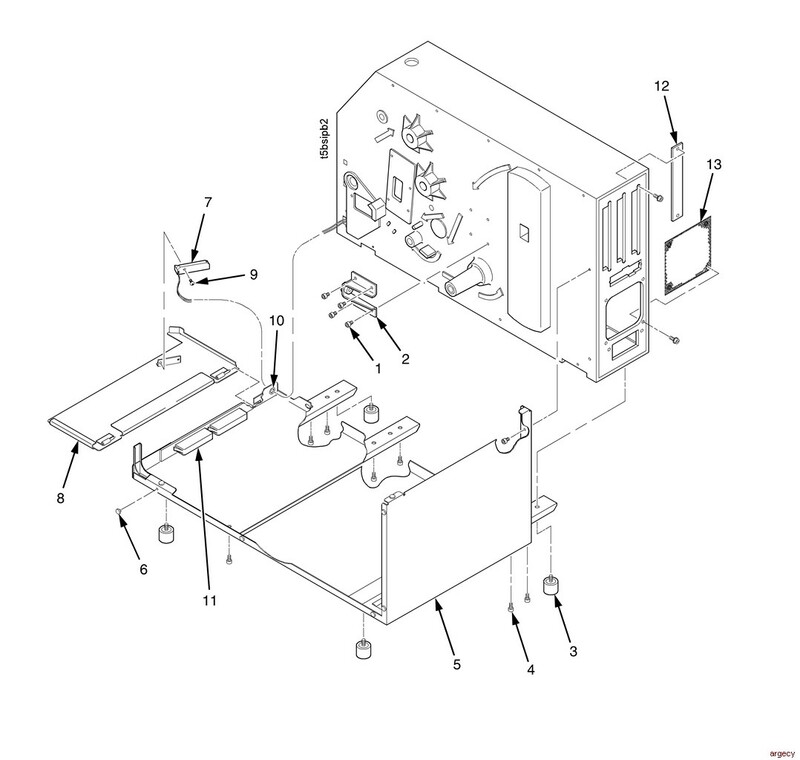 (2) 203376-001; and spacer, platen (2) 170258-001. 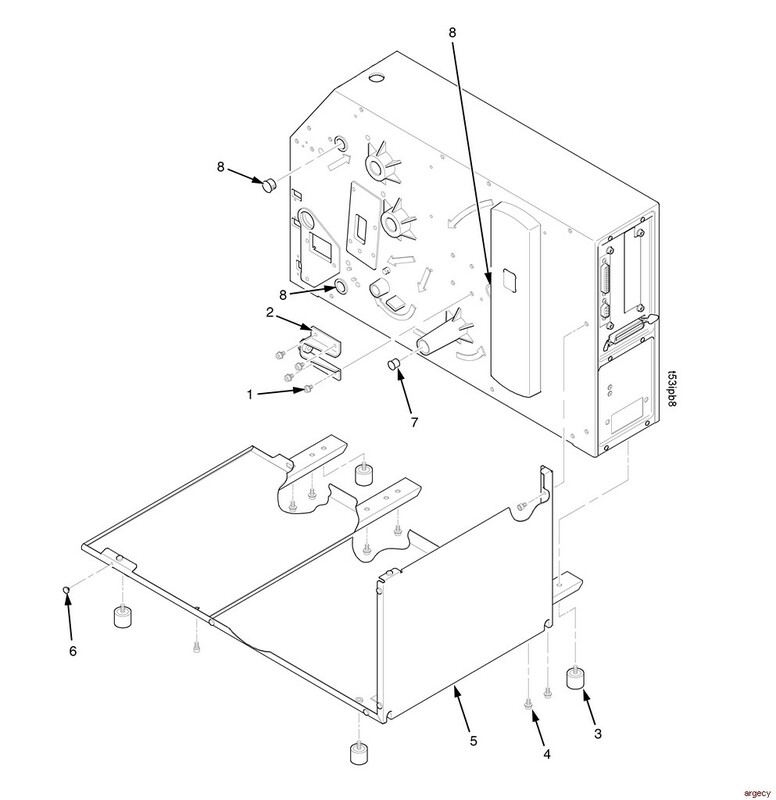 5 173624-001 Field Kit, Media Sensor Assy, Lower Used in dual media sensor models only. Part of item 2. Used in dual media sensor models only. 10 203281-001 Screw, Btn Hd Soc Cap, M3x6mm (2) Available only in Hardware Kit 171629-001. Used in single media sensor models only. 12 170545-001 Handle, Media Sensor Part of item 11, but can be ordered separately. Used in single media sensor models only. 7 170219-001 Sensor, Label Taken, Front Cover Mounted Used in early models only. Later models use a frame mounted label taken sensor. 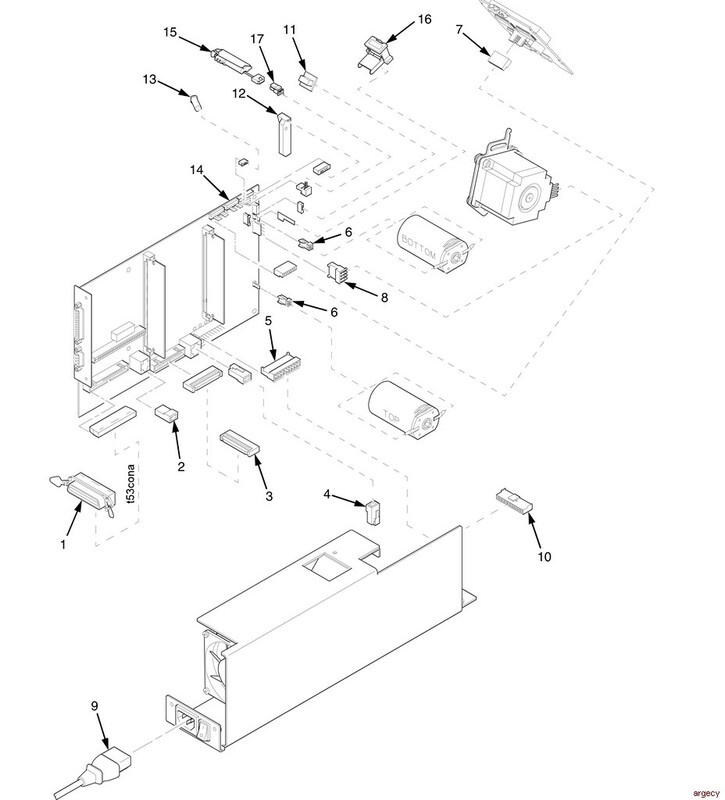 9 203251-001 Screw, Hx Skt Btn Hd, ZI, M3x8mm Available only in Hardware Kit 171629-001 (page 202). 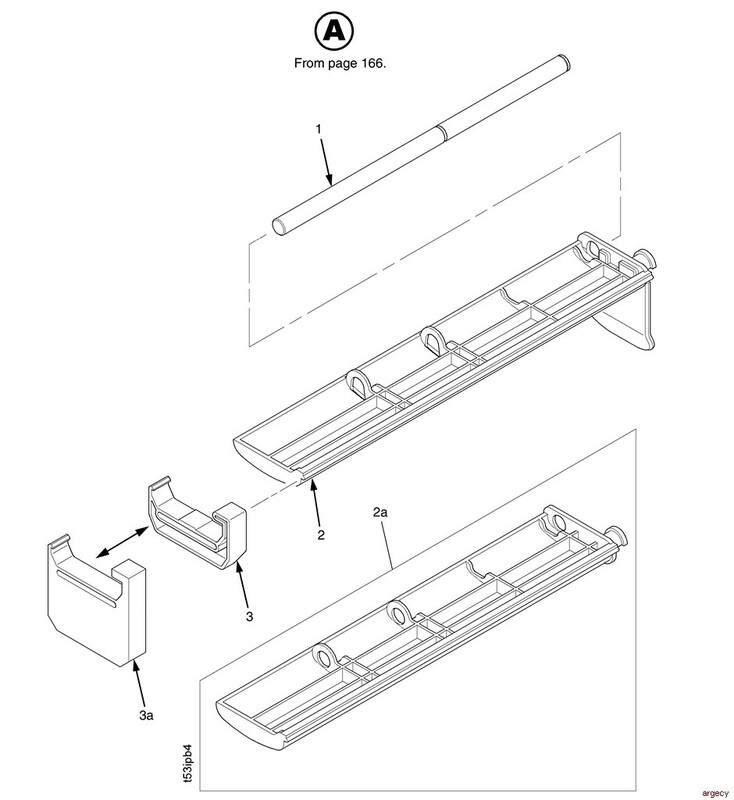 10 202721-001 Clip, Plastic Bearing Available only in Hardware Kit 171629-001 (page 202). 11 750631-001 Magnet Part of item 5, but can also be ordered separately. 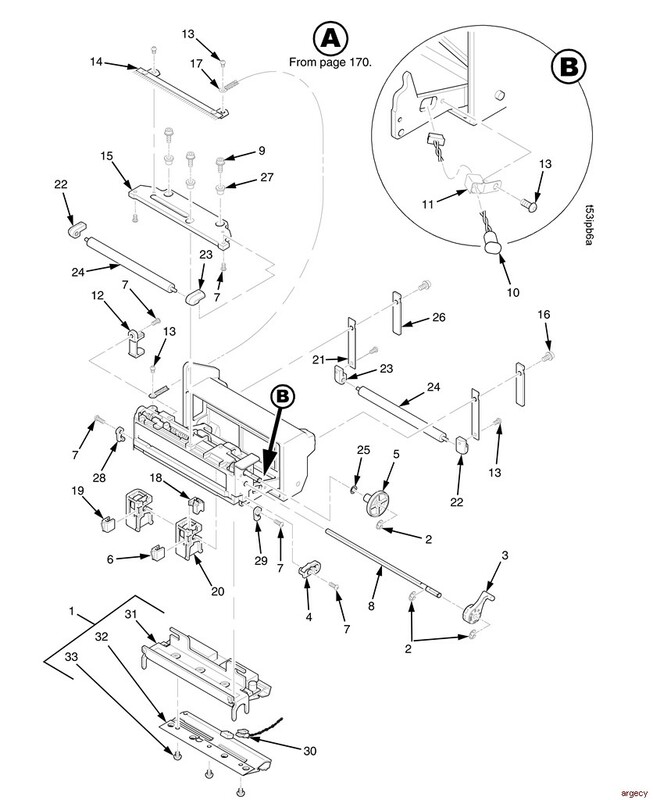 6 750923-001 Button, Damping (7) Available only in Hardware Kit 171629-001 (page 202). 2 175077-901 Controller PCBA, V5 Includes items 19, 20, and 21. Used in dual and single media sensor models. 2a 171662-901 Controller PCBA, V4 Includes items 19, 20, and 21. Used in single media sensor models only. 9 170826-001 Field Kit, Internal 10/100Base-T Internal NIC assembly. 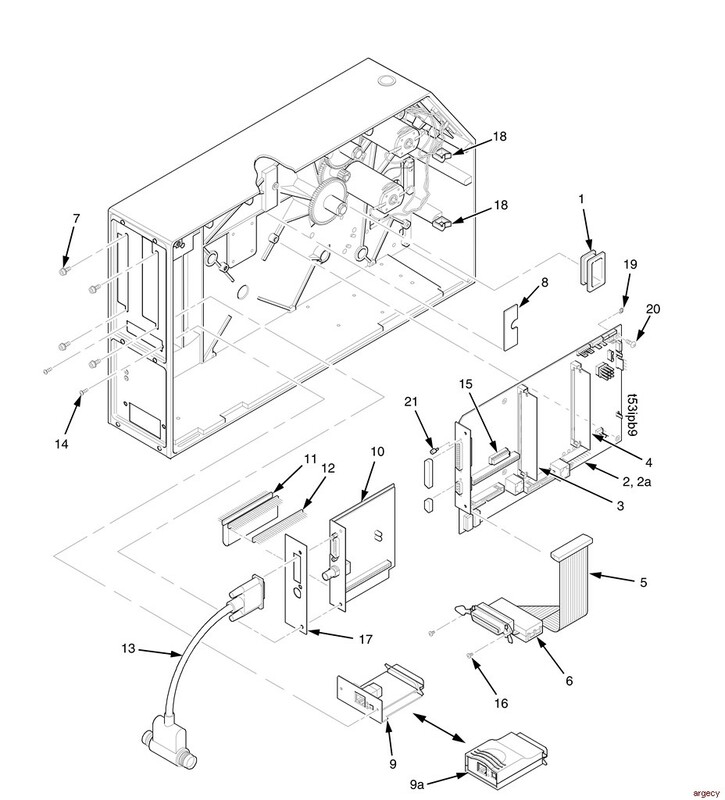 9a 171747-001 Field Kit, External 10/100Base-T External NIC assembly. 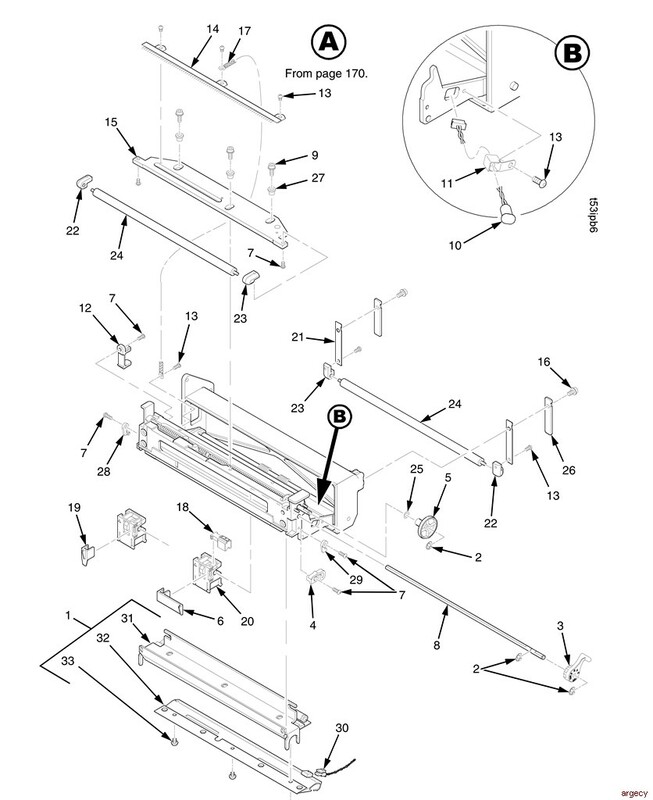 10 170397-901 Expansion-CT Subassembly Includes items 17 and 21, CT PCBA, and bracket. 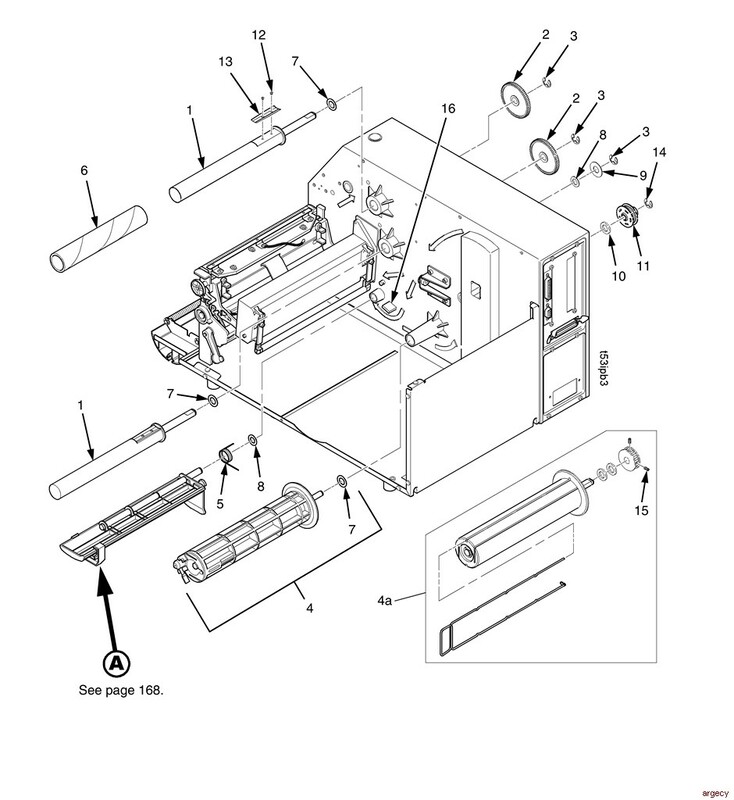 3 171403-001 Field Kit, DC Motor Does not include item 4. 7 175330-001 Plate, I/O, Blank, Wide Fits items 6 and 6a. 8 175286-001 Plate, Parallel, Blank Fits items 6 and 6a. 170644-001 Control Panel Assembly Does not include overlay. 6 171896-001 Sensor, Label Taken, Frame Mounted Early models use the front cover mounted label taken sensor instead of this sensor. 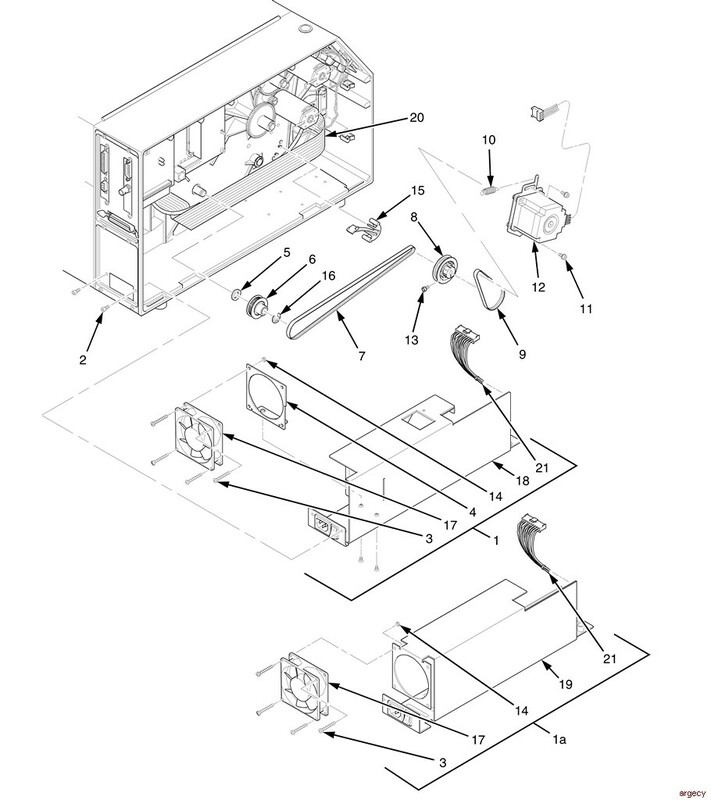 2 171947-001 Field Kit, Cable Assy, Validator option Includes ferrite. 11 171628-901 Media Sensor Used in single media sensor models only. 12 170219-001 Sensor, Label Taken, Front Cover Mounted Used in early models. Used in dual media sensor models only. Part of the printhead assembly. 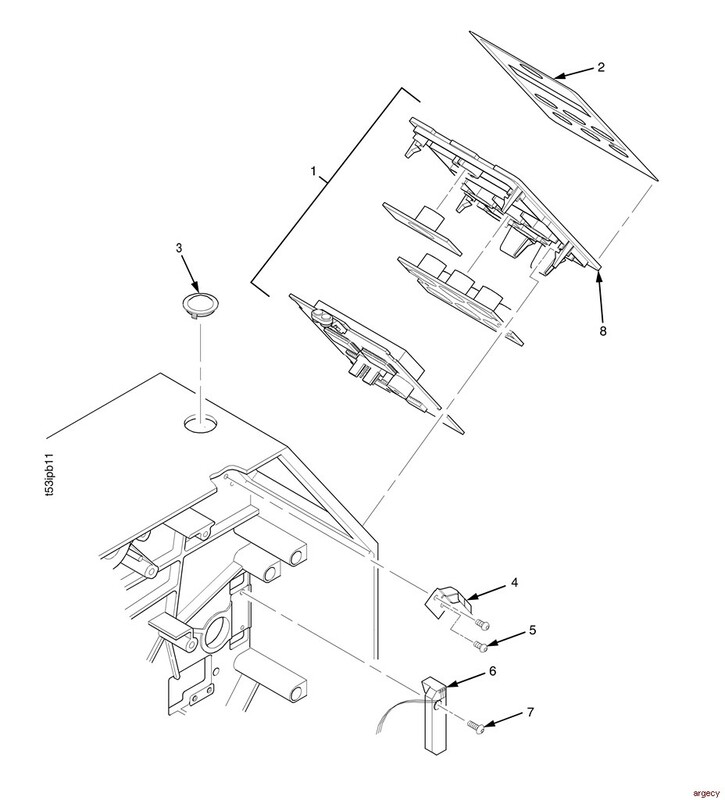 16 173624-001 Lower Media Sensor Assembly Used in dual media sensor models only. 17 175116-001 Cable, Upper Media Sensor Used in dual media sensor models only.